The S21 is a powerful tool that offers small businesses, branch offices and home workers complete support for IP communications based on SIP. With the SIParator 21, these businesses can leverage the same productivity and cost-savings benefits of Voice over IP and other IP-based communications as large corporations. It manages up to 400 concurrent RTP sessions. 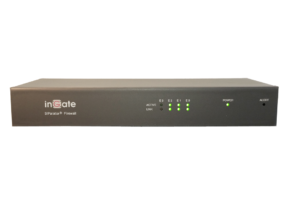 Small and versatile, the Ingate SIParator 21 is perfect for smaller office environments – with no fan; the SIParator is virtually silent, which means there’s no need for a separate server room. The management interface for the products is the same Web-based Graphical User Interface that has been cited by Ingate customers and the media for ease-of-use. Included with the Ingate SIParator 21 are five SIP traversal licenses, allowing up to five calls to traverse at the same time. Additional traversal licenses can be purchased at any time. All Ingate SIParators are fully featured and can be maintained by the network security administrator utilizing the GUI. 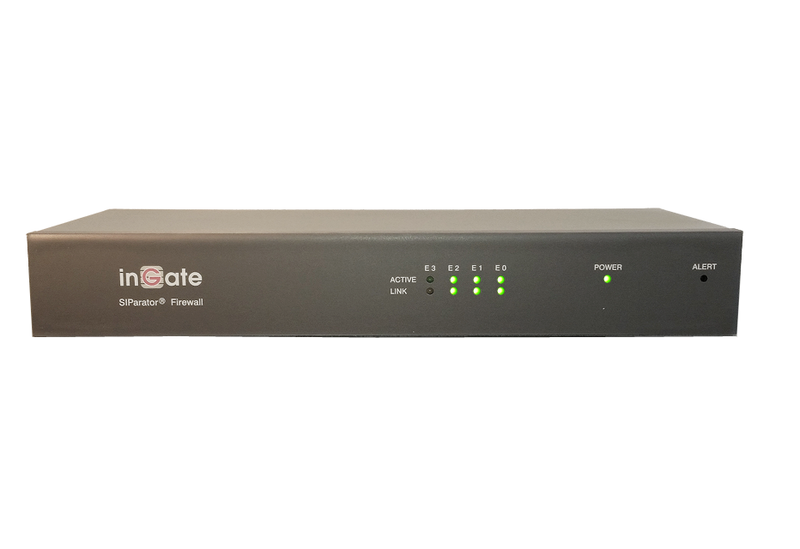 Ingate SIParators include an encrypted Virtual Private Network (VPN) termination module. The SIParator 21 can be configured as a part of the DMZ or in a standalone mode. In both cases, the benefits of SIP-based communications can be added to the network quickly and easily. free, makes the products support Transport Layer Security (TLS) for secure SIP signaling. They also support encrypted SRTP (Secure Realtime Transport Protocol), providing a high level of security for live data with advanced encryption, confidentiality, message authentication and replay protection. When combined, these protocols further shield users from eavesdroppers, hackers and spoofers. Intrusion Detection System/Intrusion Prevention System (IDS/IPS) has become a crucial security measure for enterprise deployments of SIP. IDS/IPS works in tandem with Ingate’s existing security technologies, further strengthening security for VoIP, SIP trunking, Unified Communications and other SIP applications. More and more Internet Service Providers offer a SIP trunk – a combined Internet and voice connection. For enterprises with an IP-PBX this is an ideal cost-saving solution as they no longer need local PSTN gateways or costly PRIs/BRIs. However, the SIP traffic, as all other data traffic, needs to traverse the enterprise firewall. Ingate SIParator 21 handles the firewall and NAT traversal using the built-in SIP proxy. • Ingate Remote SIP Connectivity allows remote and mobile workers to work from behind a NATing device at home, a hotel or wireless hotspot and make and receive calls using the PBX located at the corporate headquarters. • VoIP Survival allows an enterprise using a CENTREX or hosted PBX solution to fail over to the Ingate, to enable internal calls and redirect outside calls to a local PSTN gateway. • Quality of Service (QoS) ensures excellent voice quality by setting priorities and allocating bandwidth properly. 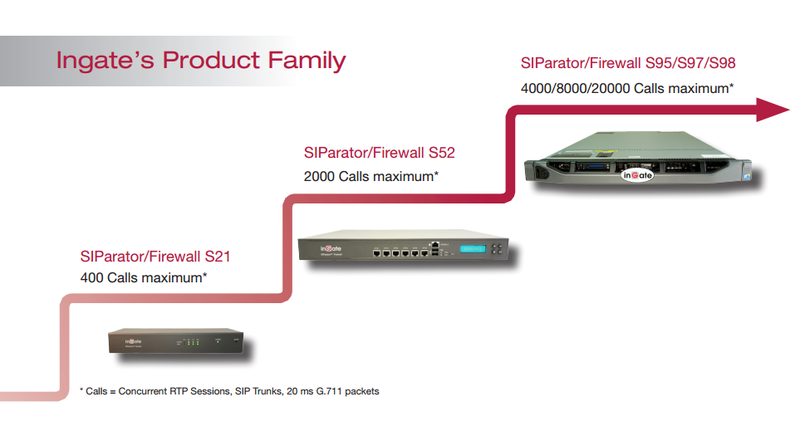 The SIParator 21 opens up a world of possibilities and cost savings when used with a SIP based IP-PBX. Businesses can route telephone calls via IP, not only between branch offices and home workers, but also to offices and other users using SIP-based Internet telephony. No longer limited to telephony voice, communication can also include video, instant messaging, presence and more. In addition, the SIParator 21 makes it possible for home workers, road warriors and even branch offices to belong the same central IP-PBX – with the highest level of security. The SIParator also affords the possibility to set up a private VoIP network, if preferred. Advanced IP-PBX functions are supported, including such as call transfer, call hold, and voicemail.